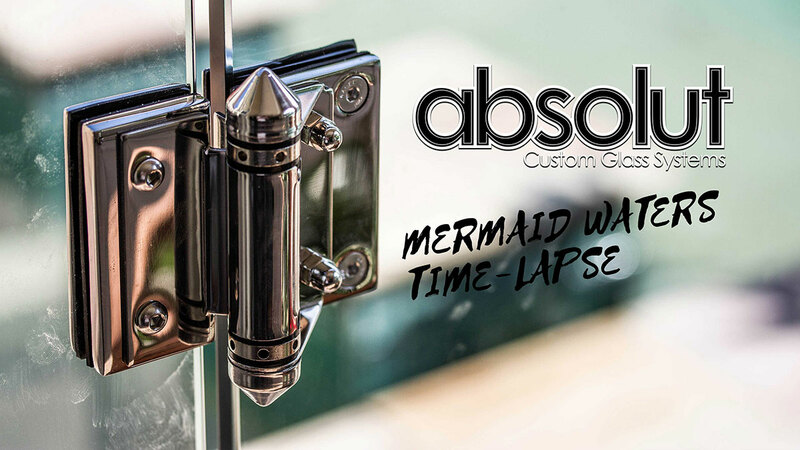 DIY FRAMELESS GLASS | Here at Absolut Custom Glass Systems we understand that some of our customers are also tradespeople and have the abilities and skills necessary to install their own Frameless or Semi-Frameless Glass Pool Fence. When one of our customers recently asked if we could install a Frameless Glass Pool Fence in Crow’s Nest Queensland, unfortunately we weren’t able to make it due to our busy schedule and travel time. Our customer, who we knew was working in construction on the Gold Coast asked if we could do a ‘supply only’ for this job. So, the idea of a DIY Glass Pool Fencing ( www.diyframelessglass.com.au) service was born. The customer was able to measure up the site where the Glass Pool Fence was to be installed and calculate the number of panels and hardware that was needed for a fully compliant, Frameless Glass Pool Fence. Once the order was conformed and the customer paid through our online PayPal account, the warehouse prepared the order. It was delivered the next day to Crows Nest for a very reasonable freight charge. Since then we have built a specialised website, DIY FRAMELESS GLASS, and have delivered to all over Australia for customers that are competent using the necessary tools and have the time to do the installation. We have sent Glass Pool Fence Systems to Adelaide, South Australia, Regional Victoria, up to Northern Queensland in Biloela, Dalby, Goondiwindi, central NSW and all the capital cities. The list goes on, and we are happy to be able to supply the best quality toughened glass and stainless steel hardware to our do-it-yourself regional neighbors. We offer telephone support for the installation and are happy to help with any obstacles our customers come across during the installation. Doing it yourself is a great idea if your have the extra time, maybe a couple of weekends, and some construction skills. If you think you’re up for it or can get a few mates together to give you a hand then why not try doing-it-yourself. Check out our sister website, DIY FRAMELESS GLASS for prices, delivery costs and times to see if this suits.